...well, he is still looking for random parts for his car. 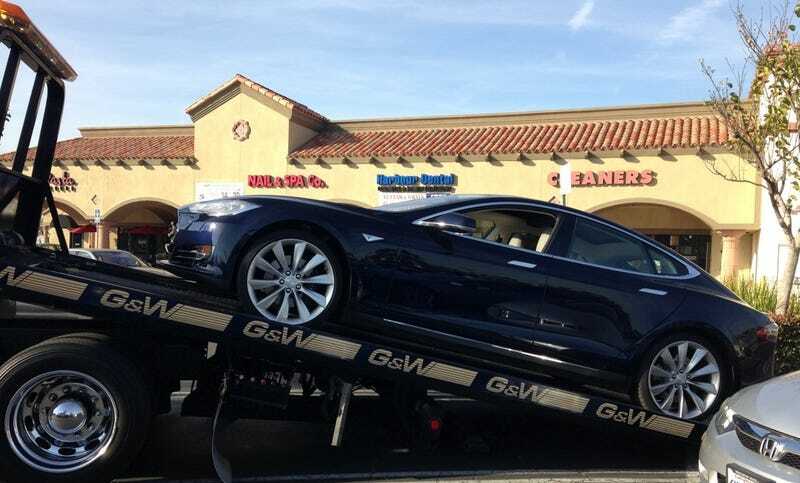 What the parts guy told us was that once a Tesla is declared a total loss, Tesla will NOT sell any parts for it (VIN specific parts search). Here at Aston Martin, when I look up some body shop parts, some show a restriction. Basically, those body parts can only be purchased and shipped directly to a certified Aston repair shop. There is only one here and they work with us directly. I understand those specific, usually carbon fiber structure, parts from Aston, but any parts for a Tesla is forbidden once it’s been declared a total loss seems a bit much. I guess that could be legal right? I guess it falls into that, “we have the right to refuse service” or something like that.